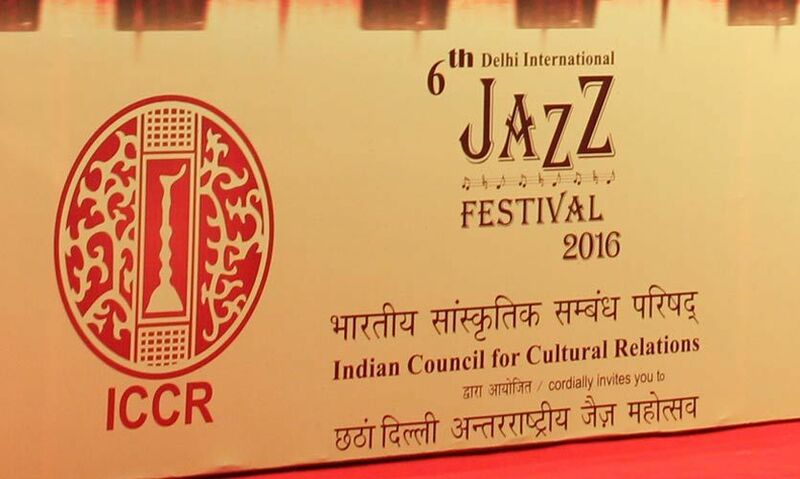 Bid Your Blues Adieu @ The 6th Delhi International Jazz Festival 2016 - Hear All About it Here! 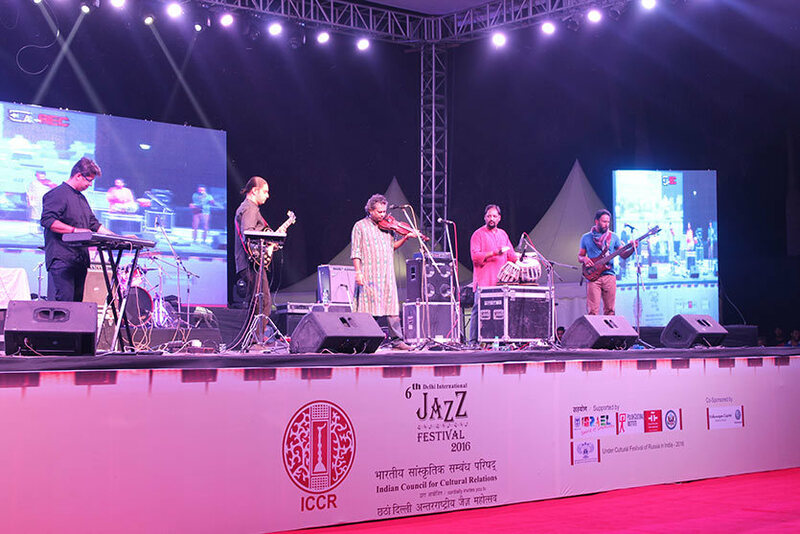 This weekend, we made our way to Nehru Park in Chanakyapuri where the 6th Delhi International Jazz Fest organized by the Indian Council for Cultural Relations (ICCR) is currently underway, and boy were we blown away! Good weather, a lush and spacious open-air venue, chill vibes, a selection of the best jazz groups from across the globe and free entry. The weekend never sounded any better than this! The 3-day long celebration features three performances each evening, including an Indian band as the closing act for every show. Acclaimed musicians from Goa, Delhi, Shillong, Russia, USA, Israel, Poland, Spain and Slovenia have all come together in this foot-tapping (and head-bobbing!) musical extravaganza that just keeps on giving! If you have an ear for music and enjoy soulful instrumental renditions combined with high-octane vocals to spice things up, then you simply can’t skip this! Musician Matan Chapnzky along with his students from the Rimon School of Music, Israel, had the audience under his spell from the get-go! Playing tracks written and composed by Chapnzky himself from their latest album Beats & Pieces, the instrumental band set the tone for the night and made us fall in love with all things jazz! Chapnzky’s sax and lungs of steel gave us some major feels, perfectly complemented by the bass guitar and drums. Carmen Paris dropped a jazz bomb on us which blew our minds and whose notes washed across the arena in waves of dynamic vocals and enchanting tunes! If there ever was a performer who knew how to work a foreign crowd, it’s this incredible Spanish woman with her soul-stirring voice, insane musicality and groovy salsa moves! 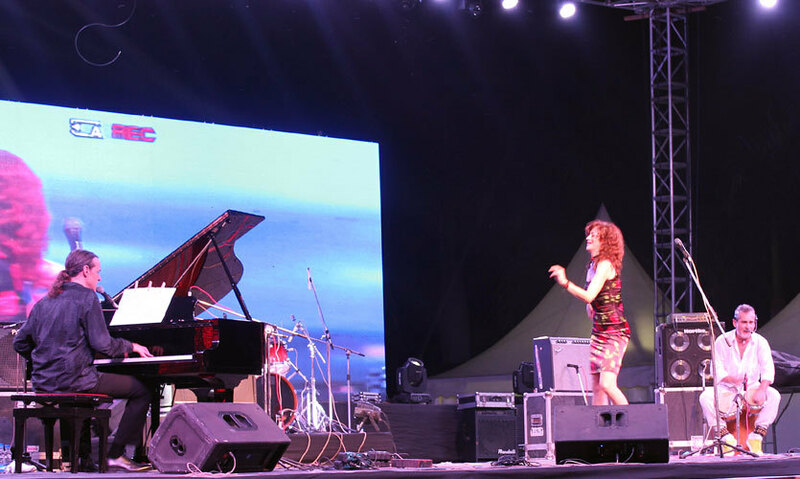 Accompanied by Diego Ebbeler on the piano and Jorge Tejerina on the cajon, the National Award winner gave us fusion jazz - Spanish jazz infused with Mediterranean and African influences - in a voice that transcended all language barriers. Easily the best act of the night! The most-awaited group in the line-up, Mrigya provided a superb crescendo to the Festival’s first evening! Representing homegrown talent from Delhi and belting out all-instrumental tracks in their trademark fusion style, the six-piece band got the huge crowd roaring with their first song ‘Ali’. 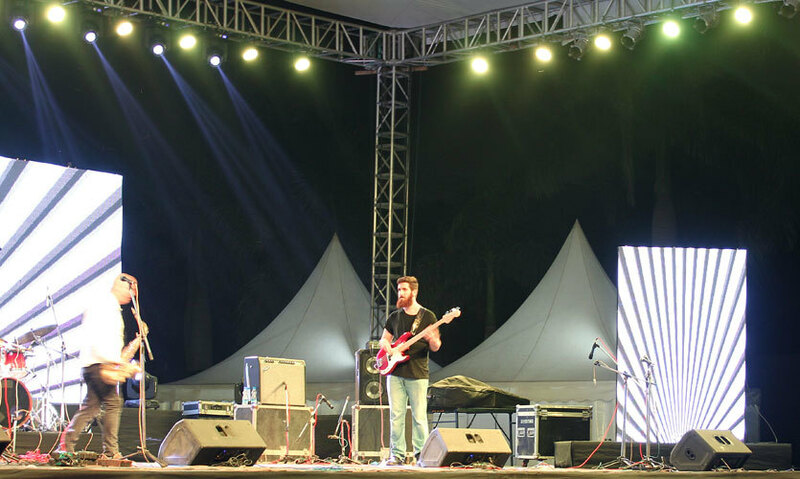 Their subsequent sets featured guitarist Igor all the way from Slovenia, who provided some jaw-dropping moments in his jugalbandi with Mrigya’s tabla maestro Gyan Singh that gave us goose bumps! Jamborees such as these have certainly made quality jazz music more accessible, exciting and enjoyable for the youth and disintegrated the bourgeois, only-for-oldies aura that was previously associated with this genre, so kudos to ICCR on doing a great job at that! The only letdown was the disastrous compering that punctuated the programme - a piercing voice screaming grammatical errors, getting the artists’ names wrong, intervening with a vote of thanks when Carmen (not “Cameron”) still had two songs left were the worst interludes between the best acts. 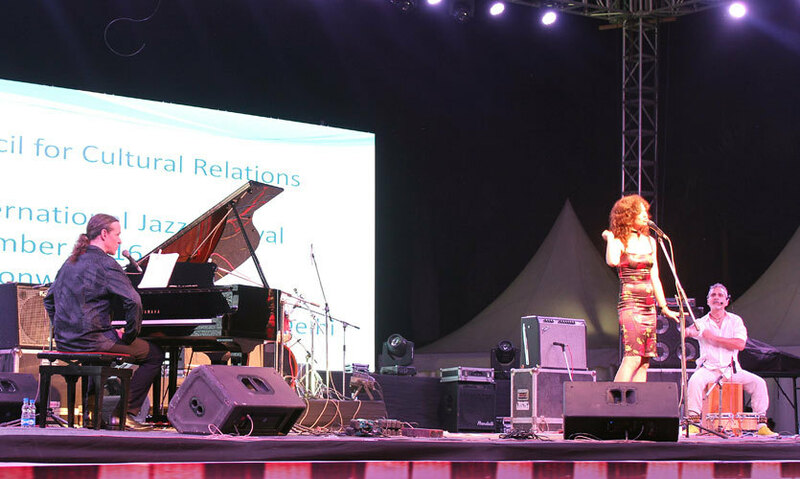 The 6th Delhi International Jazz Festival is on till the 26th of September, so you can still catch some magic! This article is written by Misha Dwivedi. Misha is a part time writer and a full time Grammar Nazi. Currently hurtling through life at the speed of light, she makes time for dancing (not just at weddings and Ladies Nights), literature (current read: Joseph Anton), photography (hates selfies!) and hogging her face off on the pretext of upcoming-food-blog-research. Simple pleasures.